DCG Exclusive: Robbo Revealed as Kingpin of Crime. Well the truth had to finally be revealed, Robbo is indeed the Kingpin, not only of crime, but of C2F. Hope you like it. 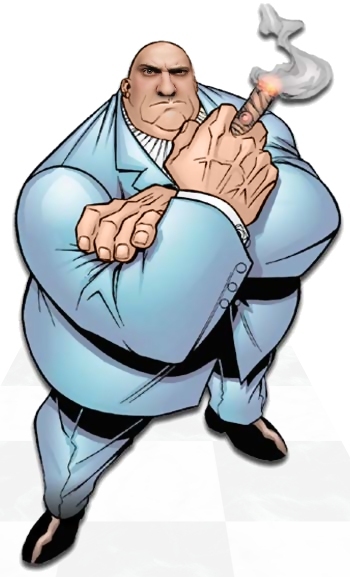 I took Robbo’s head from Yahoo messed about with the perspective, then smudge and softened it onto the kingpin pic i grabbed from marvel. the skin on the kingpin i recoloured to match robbo more closely. i added a slight shadow.